More Americans are likely to name former President Barack Obama as the man they admire most, although the gap between the former president and the current has narrowed over the last year, a poll has found. 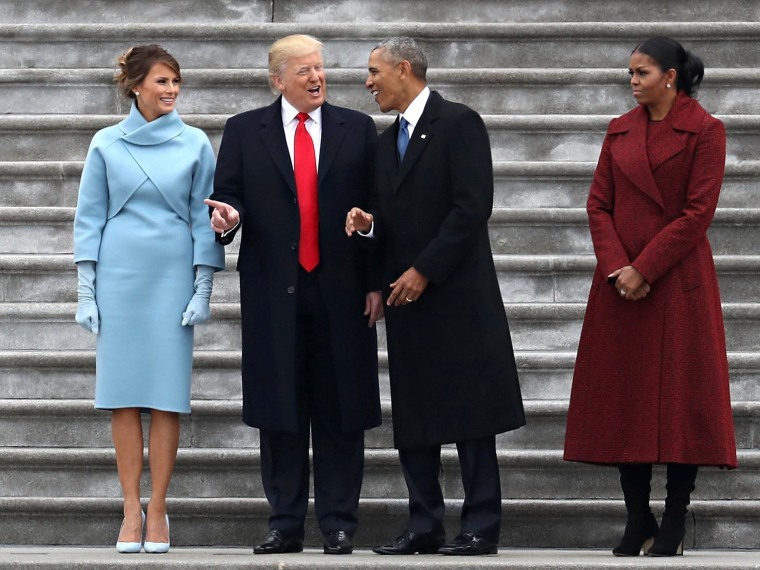 Seventeen percent of those polled said Obama was the man they admired most, compared to 14 percent who picked President Donald Trump, a Gallup poll released Wednesday said. In 2016, 22 percent of those surveyed picked Obama and 15 percent picked Trump, according to Gallup. Meanwhile, Hillary Clinton continued to top the most admired woman question, according to the poll, with 9 percent of those surveyed picking her in 2017. That number fell from 15 percent in 2013 and 12 percent in 2016, according to Gallup. Former first lady Michelle Obama came in second in 2017 with 7 percent of those surveyed choosing her as the woman they admire most, Gallup said. The survey was conducted by telephone interviews done from Dec. 4 to Dec. 11, using a random sample of 1,049 adults. This year's survey marked one of the relatively few times that the incumbent president was not picked as the most admired man, according to Gallup. The question has been asked since 1946 — the only year it wasn't asked was in 1976 — and of those 71 times the incumbent president was chosen 58 times, according to Gallup. Republicans were much more likely to name Trump than Obama, with 35 percent picking him and 1 percent picking Obama. Democrats picked Obama over Trump 39 percent to 3 percent, according to Gallup. Among those also picked as the man those surveyed admired most were Pope Francis, at 3 percent; the Rev. Billy Graham at 2 percent; and Republican Sen. John McCain and SpaceX and Telsa Motors CEO Elon Musk, also at 2 percent each, according to Gallup. But a quarter of Americans surveyed said they could not name a man or woman they admired most, and 9 percent of people picked a friend or relative as the man they admire most, and 13 percent picked a friend or relative as the woman they admire most, according to Gallup. Trump has an approval rating of around 38 percent as of Tuesday, according to Gallup’s daily tracking poll. An NBC News/Wall Street Journal poll in October found that 38 percent of Americans approved of Trump’s job performance, while 58 percent disapproved. That number was the lowest job approval rate of his presidency, NBC reported at the time.